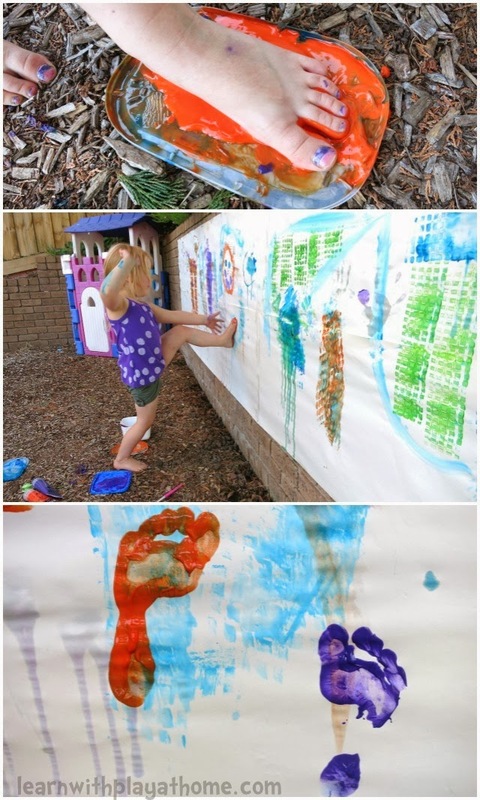 Learn with Play at Home: An Invitation to Paint Big! 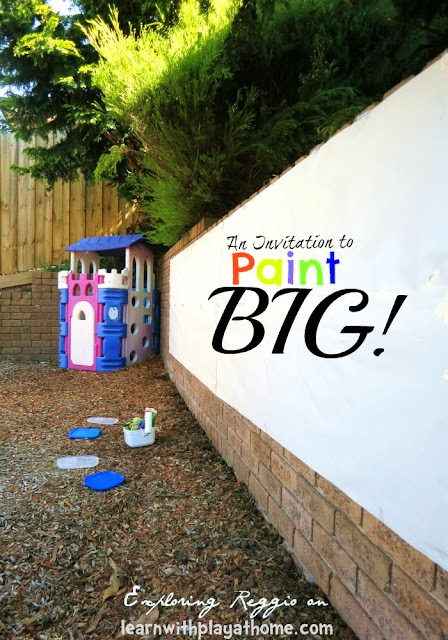 An Invitation to Paint Big! One of the main principals of the Reggio Emilia Approach is "The Hundred Languages of Children." This is where it is recognised that children are great communicators and are capable of communicating and expressing knowledge, thoughts and understanding in a huge variety of different ways and through many varied mediums and materials. We, as parents and teachers, can offer our children various experiences to show we value their need for play and exploration and to allow them to develop their creativity, learn new things and utilise all their senses and languages. Another important part of a Reggio inspired education is looking at the role of the environment in order to enhance and stimulate learning. Today for our activity I decided to take my children's love for being outside and combine it with their love for painting. Being outside meant that I had a whole different environment to work with so I decided that it would be great to see what my active kids would make of large scale painting. Inside we are often limited to paint within certain confines due to the space, so my children have never experienced painting on such a big scale. I was very curious to see how my children would interact with the nature around them (if at all) and how they would communicate through their experience. We don't have any giant paper at home but I do always have a large roll of paper on hand (I buy mine from Ikea). The handy thing about a roll of paper is that you can create giant canvases like this one. I stuck it onto the brick with sticky tape so it was pretty easy. Sticky tape might be less effective on a fence so I'd try some sticky-tac. I was going to lay it out on the grass instead but as the lawn wasn't freshly mowed, the paper would have been ruined too quickly so I went for the wall mounted option instead. Beside the paper I had a tub of paints and various painting tools. The kids were very keen to squirt the paint on the plastic lids and both chose rollers straight away. We don't use rollers all that often as they aren't always so useful working on a small scale. This was a reasonably new experience for them. There was so much space that I'm not sure they knew where to start or what they were doing. The beginning was definitely about playing around with and exploring the materials more than creating a piece of art. I had a bucket of water nearby for washing purposes. They were almost as interested in the bucket of water as they were in the whole painting experience. I enjoyed seeing them exploring all the different materials I had provided (even stamping the plastic lids with paint as it got low). It gave us an opportunity to talk about the different patterns, textures, colours etc. Maddie discovered that having a roller without paint the whole way round made a stripy pattern which of course was perfect for painting a tiger! The bucket of water provided a lot of entertainment for my toddler. 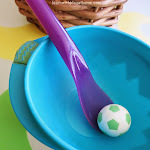 It reminded me how much he loves water play and how I can incorporate it even more. It wasn't long before they'd ditched the materials and moved on to their body parts. As is usually the case, little brother sees his big sister and has to have a go! It was so funny watching him trying to balance and get his foot up straight against the paper like Maddie had. Painting BIG allows for gross motor development as well! I loved that there was so much room that the kids could paint and create without being on top of one another. Plenty of room for everyone. The kids painted outside for ages. As is often the case when we're outside, we totally lost track of time. There was enough time for some bouncing before tea though. We must paint outside more often! I found that the kids painted with more abandonment than when inside and it was a really calming experience. No stressing about keeping them restricted to certain areas. It was great for ALL of us! I have more plans for painting on a similar scale to this outside. It made such a difference to the experience. I'd definitely like us to have a go with the paper on the ground. The kids really loved trying to paint with their feet and hand-printing so perhaps some whole body painting is in order? With the paper on the ground the kids would be able to run all over it and roll around. 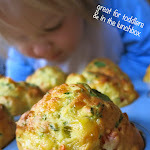 They really enjoy sensory experiences, especially my toddler, so I envision a lot of fun! It would also be interesting to set up a similar experience but not provide them with any painting materials and have them make and find their own outside. They were so keen to use and explore each of the different painting tools that I put out, that it may be interesting to try and recreate some of those patterns and textures using items we find outside. The children communicated many different things during their experience. 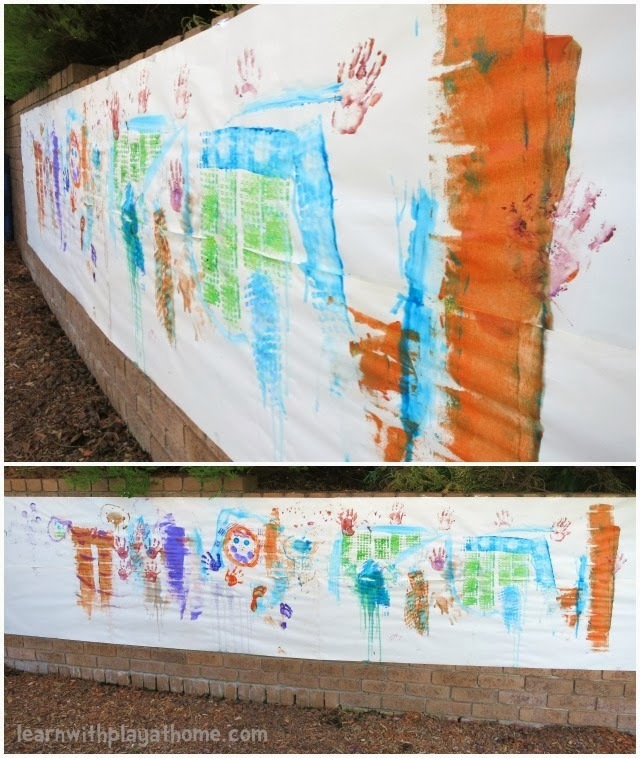 Both children showed their delight at being outside and painting on a large scale. They both loved exploring and utilising all new materials. They wanted to explore the feeling of the paint with their senses and experiment making various different marks. Maddie communicated her knowledge for varieties of animals and we were able to use that to talk about other similar animals and then other animal markings. Noah showed his interest in water and swirling and mixing things to make new concoctions. Both children love to move and are more engaged with activities that are open-ended. Join us in a fortnight for another Exploring Reggio post and don't forget to check out all the other great activities from our co-hosts. Check them out via the links below. 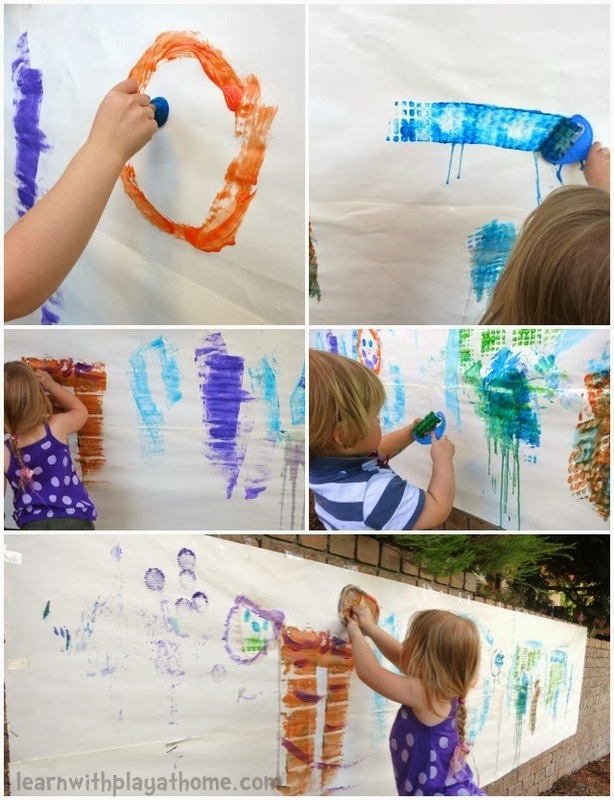 If you missed our previous Exploring Reggio posts about Exploring and Printing with Paint on a Mirror, or Enticing Literacy. 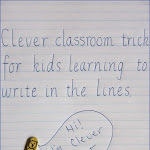 Making and Writing Words, go and check them out. We had such fun experiences! Have you ever painted BIG? Yes, I can't wait to do more of this in Summer time when it's even warmer and be able to have the paddling pools out :) Thanks. This is so fun! My favorite is how they decided to use their feet- our kids would get on so great together ;) Too bad it's a bit of a journey just for a playdate! Looks so fun. I don't think I've ever used a roller with my kids to paint. I just never thought of it. I'll have to let them try it out! A HUGE piece of paper is just about my favourite art supply! Love the foot prints! Love this! The BIGGER the BETTER lol! Have Pinned it. I love the karate kicks to the paper. That's just super adorable! Love this and now I wanna do with my little monkeys. This looks like SO much fun! I'm loving your little guy using his feet to paint!! This is brilliant. I often let my daughter draw all over our back fence, but I never thought to put up a huge roll of paper. The photos are awesome. your kids are clearly enjoying themselves. How awesome is it when it's so big that they aren't on top of each other?! Love it! 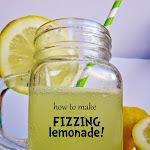 This looks awesome Deb – has been added to out must-do list! We often paint outside, my youngest is obsessed with getting her hands and feet completely covered in paint far more that the painting itself and I don't need to stress about the mess :-) Love their foot painting techniques. Love their finished artwork - especially all the textures! Is there a trick to getting the sticky tape to stick? Ours always seems to fall off within 10 minutes. Thanks! Love the activity that you held for them!